Hand painted Batik strips by Hoffman Fabrics. Blue- greys, all patterned. 40 precuts 2.5" x 43"/44"
100% cotton, handmade in Bali, Indonesia. Warm and cool browns, from the palest beige to bitter chocolate. All with subtle shifts in surface pattern. Hand painted Batik strips by Hoffman Fabrics. Hand painted Batik strips by Hoffman Fabrics. Clean bright colours all with an informal dotted pattern. 40 different precuts 2.5" x 43"/44"
Subtle range of greys and blues, all hand painted Batik strips by Hoffman Fabrics. Patterned range of browns, all hand painted Batik strips by Hoffman Fabrics. 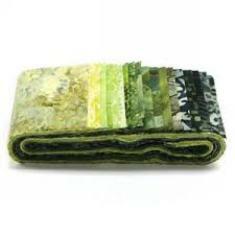 20 different batiked fabrics precision-cut into 2-1/2-inch x 44 inch strips . A summery mix of dark and bright greens. 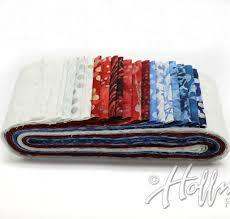 Designed in the USA and hand-dyed/batiked in Bali on 100% cotton..
Mix-and-match Hoffman Bali Poppy packs to create a stunning color story..
A range of blues, some dark, others with hints of purples. Rich shades and tones of purples. Sandpiper ranges from deep indigo to pale beiges through muted blues and stone colours. Hot and vibrant, from yellows, oranges to deep red. 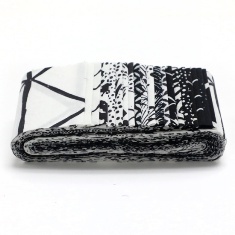 Striking and dramatic black and white patterns. Blossom is a pretty range range of pinks. A lively and bright mix of colours and patterns. Clean crisp blues from pale to deep indigos. Yankee is a range of red, white and blue with a few touches of gold and silver. Strongly coloured but with more subtle patterning. All of the main colours except black are present. By Lynette Anderson and made in Japan, this is a delicate collection of subtle, quiet colours, patterns and designs. The same designs are produced on various background colours from a slate blue grey, muted dusky pinks to lavender greys. 42 pieces of 10 x10" 100% cotton. 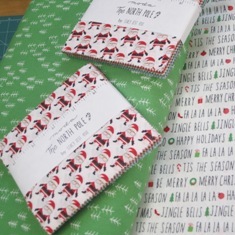 We also have two designs available by the metre. 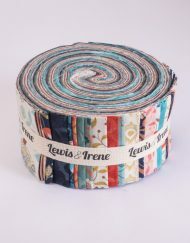 Lewis and Irene Chieveley Jelly Roll last one . reduced . 40 strips of pre cut cotton fabric, each 2.5" wide. ( equivalent to 2.5 metres of uncut fabric!) All in 100% cotton Lewis and Irene vintage designs from the Fabulous Forties range. 40 strips of pre cut cotton fabric, each 2.5" wide. ( equivalent to 2.5 metres of uncut fabric!) All in 100% cotton Lewis and Irene vintage designs from the Fabulous Forties range. 40 strips of pre cut cotton fabric, each measuring 2.5" . ( equivalent to 2.5 metres of uncut fabric!) All in a selection of Lewis and Irene vintage designs from the Fabulous Forties range. 42 pre cut 10 inch squares All in 100% cotton fabric Lewis and Irene vintage designs from the fabulously pretty Flos Wildflowers range. As a rough guide, sewn into a simple block of 7 by 6 squares, this could give a panel 66.5" x 57". This Moda fabric range is a charming mix of contemporary patterns and animal motifs in a light and moden colour palette. This is very crisp and fresh in feel with a lightness of touch. 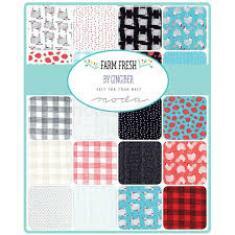 The charm pack showcases this range of 100% cotton patchwork fabric from Moda, sold pre-cut ready for you to use. Each pack contains 42 x 5 Inch Squares in co-ordinating colours. Ideal for smaller patchwork projects. This is a quarter of a full layer cake that we have cut on site, . 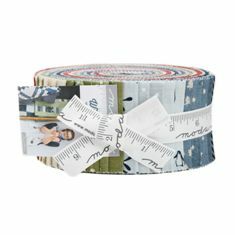 The Jelly Roll showcases this range of patchwork fabric from Moda, there are 40 x 2 inch strips in every jelly roll, each 44 inches in length. Ideal for all patchwork projects. The charm pack showcases this range of 100% cotton patchwork fabric from Moda, sold pre-cut ready for you to use. Each pack contains 42 x 5 Inch Squares in co-ordinating colours. Ideal for smaller patchwork projects. This is quite literally a quarter of a full layer cake cut on site. Holly Woods by 3 Sisters, is a fabulous crisp collection of winter themes contrasting subtle, quiet colours and patterns with stronger, richer and more vibrant designs. 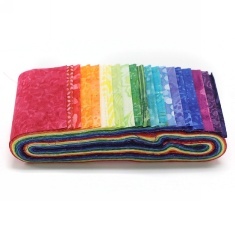 The Jelly Roll showcases this range of 100% cotton patchwork fabric from Moda, sold pre-cut ready for you to use. 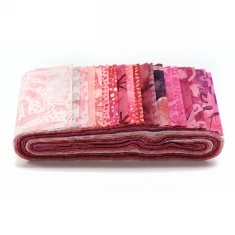 There are 40 x 2 inch strips in every jelly roll, each 44 inches in length. Ideal for all patchwork projects. Holly Woods by 3 Sisters, is a fabulous crisp collection of winter themes contrasting subtle, quiet fawns and creams and delicate patterns, with stronger, richer deep blues and reds and more vibrant designs. The Layer Cake showcases this range of 100% cotton patchwork fabric from Moda, sold pre-cut ready for you to use. Each pack contains 42 x 10 Inch Squares in co-ordinating colours. Ideal for all patchwork projects. This Moda fabric range is a striking collection of shibori style designs in the traditional indigo blue on white. 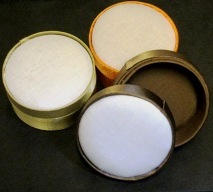 Some are very strong and bold, others far lighter and more subtle, and should make up into a dramatic design. 42 x 5 inch squares of gorgeous coordinating cotton quilting fabric of Shibori style patterns in traditional indigo on white. Produced by Moda fabrics . Worked as a simple 6 square by 7 square block this will give you a panel 31.5" x 27" approx allowing for 1/4" seams. Also some designs available individually off the bolt - see the separate listings. .
42 x 5 inch squares of gorgeous coordinating cotton quilting fabric in lively , bright modern Christmas patterns. Produced by moda fabrics . 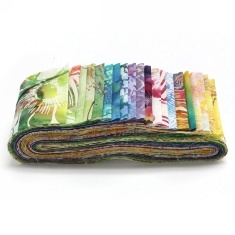 The Sunnyside Up Jelly Roll is 100% cotton printed quilting fabric, sold pre-cut ready for you to use. The Moda Sunnyside Up fabric range is a light and charming mix of nostalgic and contemporary floral design. There is a distinctly vintage feel about the soft colours and simple motifs evoking spring and summer, some delicately stylised flowers, others more quirkily abstract and engaging. This is quite literally a quarter of a full layer cake, cut on site. 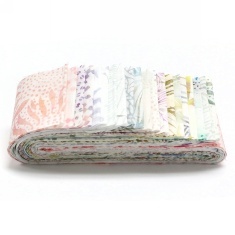 The Weather Permitting Jelly Roll is 100% cotton printed quilting fabric, sold pre-cut ready for you to use. The range is an intriguing and charming mix of nostalgia and contemporary design. There is a distinctly vintage feel about the soft colours and simple motifs all based around the idea of weather motifs, some classicly elegant, others more quirky and engaging. 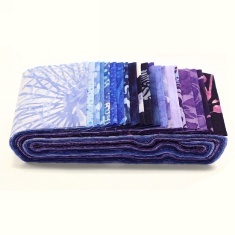 The Wintertide Jelly Roll is 100% cotton printed quilting fabric, sold pre-cut ready for you to use. The Moda Wintertide fabric range is an intriguing and charming mix of nostalgia and contemporary design. There is a distinctly vintage feel about the soft colours and simple motifs evoking winter landscapes, some classicly elegant, others more quirky and engaging. 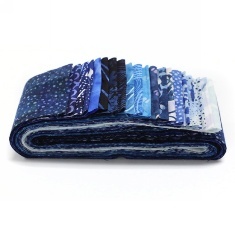 The Wintertide Layer Cake is 100% cotton printed quilting fabric, sold pre-cut ready for you to use. The Moda Wintertide fabric range is an intriguing and charming mix of nostalgia and contemporary design. There is a distinctly vintage feel about the soft colours and simple motifs evoking the winter landscape, some are classicly elegant, others more quirky and engaging. The Layer Cake showcases this range of 100% cotton patchwork fabric from Moda, sold pre-cut ready for you to use. Each pack contains 42 x 10 Inch Squares in co-ordinating designs and colours. Ideal for all patchwork projects. As a rough guide, sewn into a simple block of 7 by 6 squares, this pack could give a panel 66.5" x 57". We have several of these designs available by the metre. The Wintertide Charm Pack is 100% cotton printed quilting fabric, sold pre-cut ready for you to use. 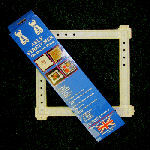 The Charm Pack contains 42 x 5 Inch Squares in co-ordinating colours. Ideal for smaller patchwork projects. It is quite literally a quarter of a full layer cake, cut on site. 42 x 10 inch squares of gorgeous coordinating cotton quilting fabric in lively and Summery patterns, all with a sea based theme. Produced by Moda fabrics . Also available as a Charm Pack. 42 x 5 inch squares of gorgeous coordinating cotton quilting fabric in lively and Summery patterns, all with a sea based theme. Produced by moda fabrics . Also available as a Layer Cake. 42 x 3.5 inch squares of gorgeous coordinating cotton quilting fabric in charming, antique floral designs with a delicate vintage feel. Produced by moda fabrics . plus 2 and a third metres on backing and binding first class quilting cotton to make one of the quilts given in the pamphlet . a really lovely do able project . 42 x 10 inch squares of gorgeous coordinating cotton quilting fabric in charming, fairy tale designs with a delicate vintage feel. Produced by Moda fabrics . 42 x 5 inch squares of gorgeous coordinating cotton quilting fabric in charming, fairy tale designs with a delicate vintage feel. Produced by moda fabrics . 42 x 5 inch squares of gorgeous coordinating cotton quilting fabric in charming, whimsical designs with a delicate vintage feel. Produced by moda fabrics . 42 x 5 inch squares of gorgeous coordinating cotton quilting fabric in charming, summery designs with a vintage feel. Produced by Moda Fabrics . 36 x 6.5 x 110cm ( 2-1/2-inch x 44 inch) strips . 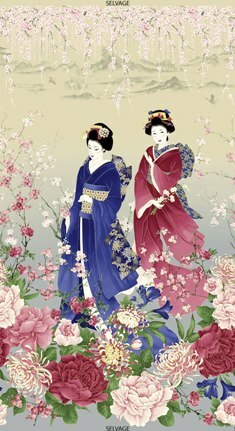 Timeless Treasures " Sakura" by Chong-A Hwang CM6156 panel. An oriental themed range, beautifully printed in rich colours with bright gold detailing. This is panel is richly decorative, in rich colours on a graduated stone colour background. Printed cotton fabric, 60cm x 110cm. We have 3 patterned designs from this range available by the metre.